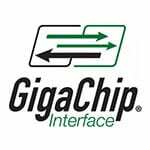 MoSys (NASDAQ: MOSY), a leading provider of serial chip-to-chip communications solutions that deliver unparalleled bandwidth performance for next generation networking systems and advanced system-on-chip (SoC) designs, is presenting at IEEE Hot Chips. MoSys’ VP of Technology Innovation and System Applications, Michael Miller, will be presenting, “Bandwidth Engine Serial Memory Chip Breaks 2 Billion Accesses per Second.” Miller will discuss the first commercially available smart memory chip from MoSys, the Bandwidth Engine(R), and its newly sampling single chip serial memory device that delivers 2x to 4x the performance of any currently available network memory device, such as QDR SRAM or RLDRAM. Hot Chips is one of the semiconductor industry’s leading conferences on high-performance microprocessors and related integrated circuits. It is sponsored by the IEEE Technical Committee on Microprocessors and Microcomputers in cooperation with ACM SIGARCH. Hot Chips takes place August 17-19, 2011. More information about MoSys’ participation at Hot Chips and other upcoming conferences is available on its website at http://www.mosys.com/FeventCalendar.php.